General Contractor: SMNG A Ltd. 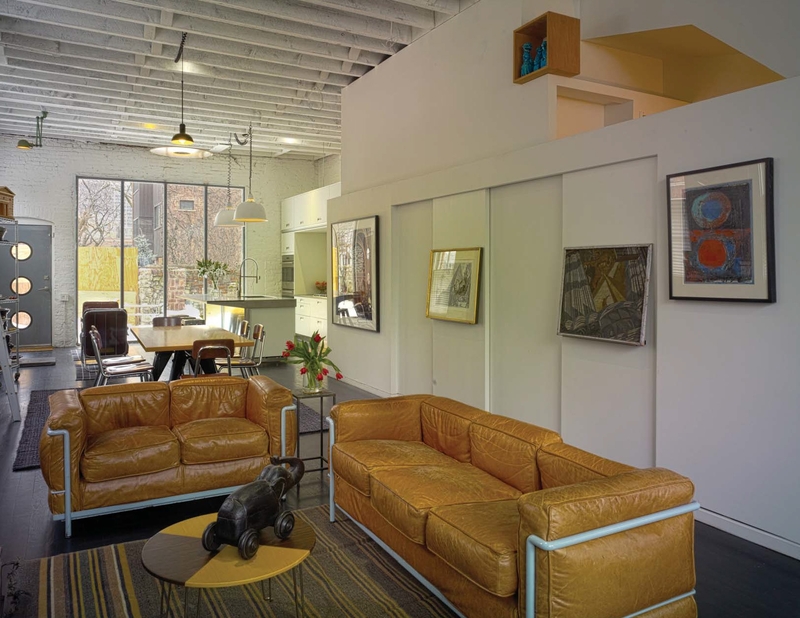 In Old Town, the former studio of artists Max Kahn and Eleanor Coen and family have been converted to a residence. The former first floor studio was originally a 1875 blacksmith shop. New tall hollow metal framed windows, front and back, open to an auto court and a cul de sac street. The first floor living volume is organized as a series of furniture like volumes and planar walls. The 12’ high, open beamed loft ceilings, are scaled by a 7’ high datum formed by longitudinal feature walls with shelves, boxes, sliding panels and kitchen ladder rails. 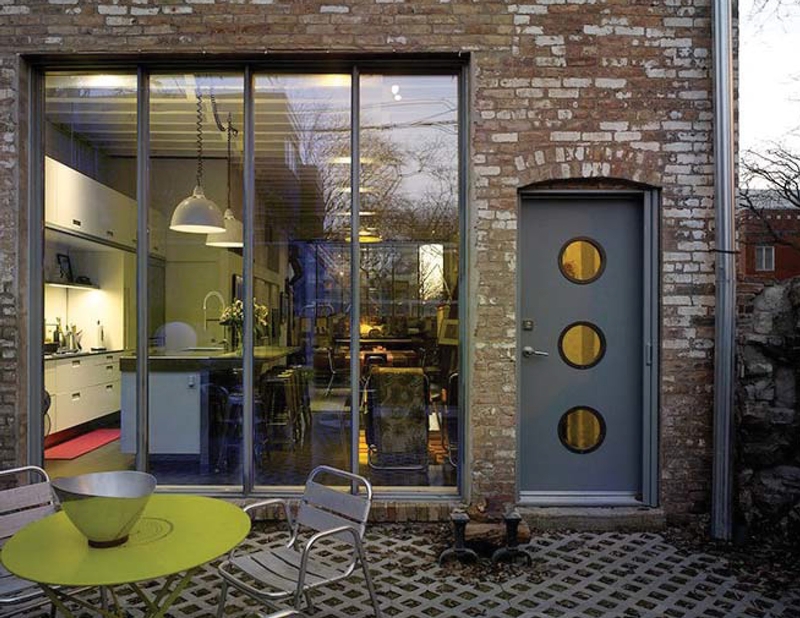 The design intervention is intended to maintain the legacy of the place and are done with modest details and means. Features such as the auto court garden wall has been extended and the “baby head” exterior piers, fire place and original double hung windows have been layered into the new features. 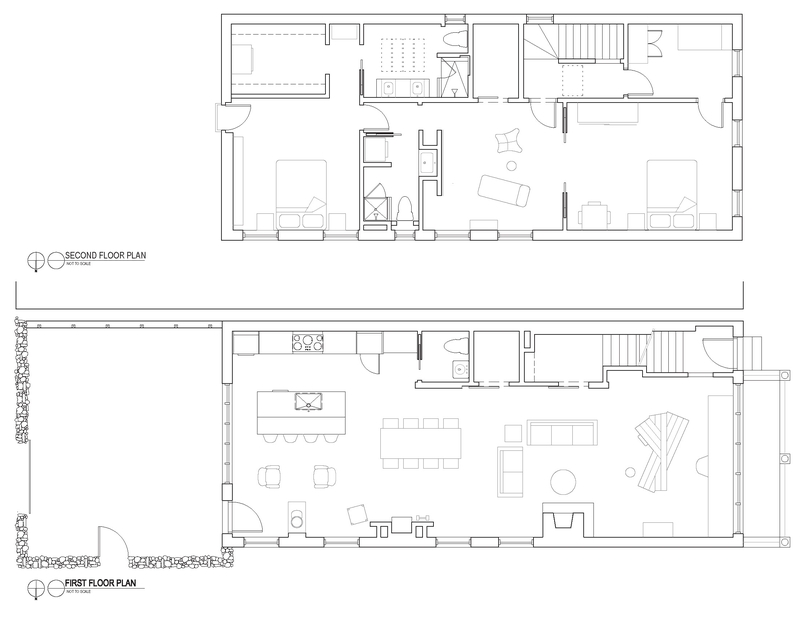 The second floor contains three bedrooms/two baths and an upper area common room. These Victorian rooms have been reshuffled and contrast intentionally with the industrial loft “feel” of the first floor. The design is intended to be adaptable and NOT frozen in time, but evolve and change as the third generation of occupants occupies this 140 year old building.